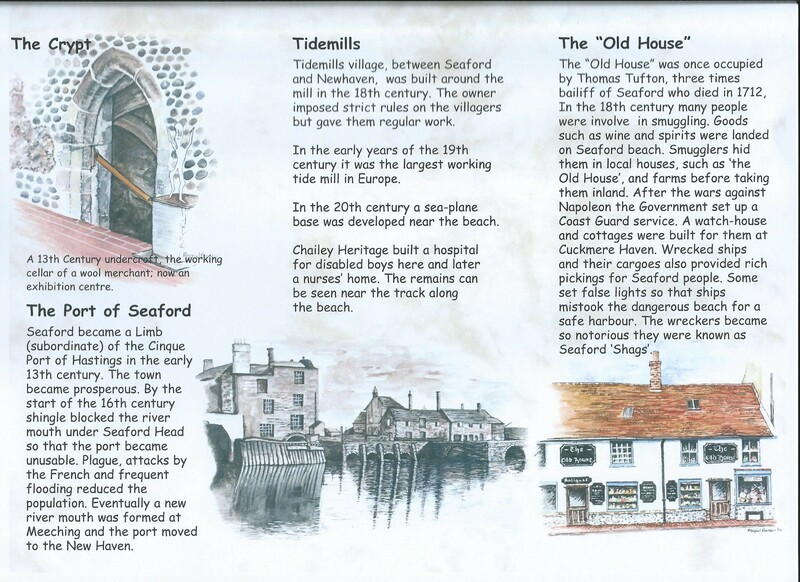 The Heritage Trail now has its own dedicated website, with much more information about the history of Seaford. 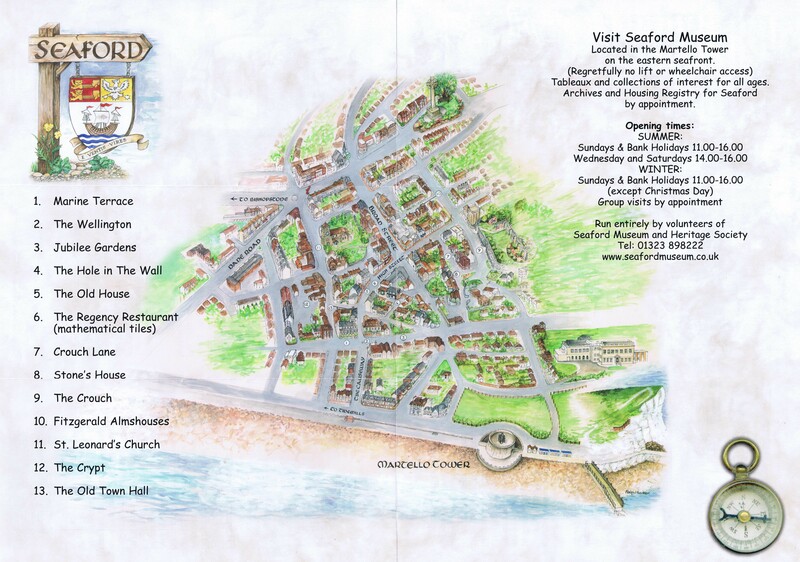 The Trail will take you on a walking tour of central Seaford starting from the Railway Station. Follow the trail and discover Seaford's past, tales of smuggling and political intrigue. Allow two hours or so, unless you are tempted to stop for refreshments on route in one of Seaford cafes or bars. 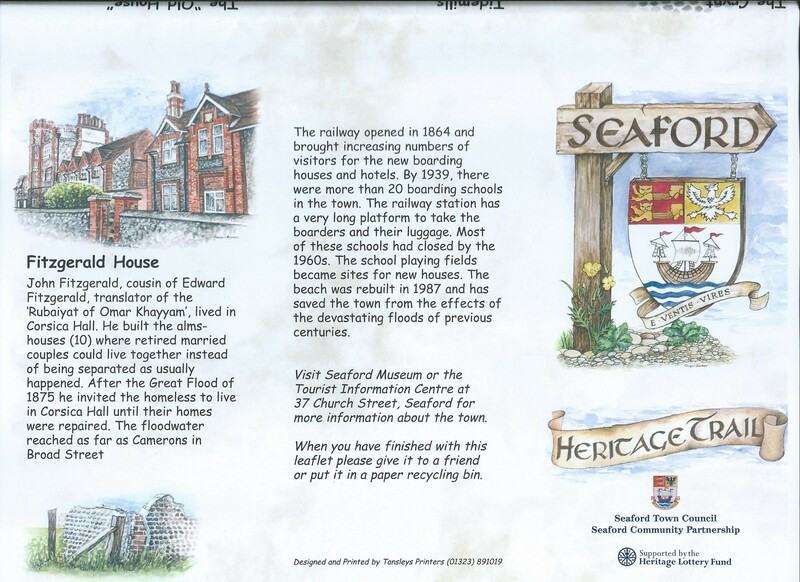 The 2014 reprint of the Heritage Leaflets was made possible by grants received from the Newhaven Peacehaven & Seaford Lions Club and Seahaven Lionesses and the Seaford Town Council.